This article can tell you the best yoga apps for your iPhone & iPad. Yoga is one of the best methods to remove stress , increase concentration level, stamina & memory power and remove any type of disease free of cost. In this article, we’ve listed some useful yoga apps that could be very useful to learn yoga practices. Okay here is a list of the best yoga apps. In this article, you can see few old apps which haven’t been updated recently by their developers but if you use them, you can see amazing result. 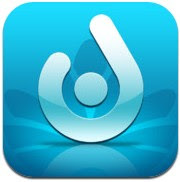 For example, Universal Breathing app was updated in 2014 but the app is very useful for Yoga practice. Lots of people have got positive result from this app. Okay now let’s talk about the best Yoga apps. 1. 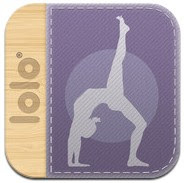 Yoga Studio ( iPhone & iPad ) – Beautifully designed featured rich yoga app for iPhone/iPad users that has beautiful interface with tons of features. Yoga Studio includes tons of features such as – 30 ready made yoga training classes with HD video, more than 280 yoga poses with instructions, customizable classes option with 15, 30 and 60 minute classes mode, classes playing option without any internet connection and lots of many useful features. Very useful Yoga app that also allows you to create your own yoga classes in HD videos. The app comes with tons of options which can help you learn many different types of powerful yoga poses easily. The app is designed for beginner, intermediate and advanced users. 2. Pocket Yoga ( iPhone & iPad ) – Pocket Yoga is one of the best yoga apps for iPhone and iPad devices and it helps you build, edit and share complete yoga practices with your friends. The app comes with more than 200 yoga poses which can be very useful to learn complete yoga practices easily. Very useful yoga app that allows you to sort yoga poses by name, category and difficulty. With Pocket Yoga, you can easily learn and practice yoga by setting the duration of each yoga pose and adding music from a built-in list or from your iPod library. Great yoga package for your iPhone or iPad. 3. Daily Yoga ( iPhone & iPad ) – Daily Yoga is a featured rich yoga training app that can be used free of cost on your iPhone or iPad. The app comes with yoga tutorial videos, over 200 yoga poses with detailed instructions, different types of yoga sessions and yoga workout intensities. Very useful free yoga app that comes with step by step yoga videos which could be very useful to learn yoga poses easily on your iPhone or iPad. 4. 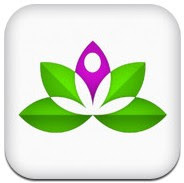 Simply Yoga ( iPhone & iPad ) – An excellent yoga app that has easy to use interface. The app has many features which can help you learn yoga easily. The app includes more than 60 yoga poses with video demonstration, two practice levels, custom routines and lots some other useful features. Powerful and easy yoga app for iOS users. 5. 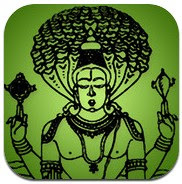 Universal Breathing – Pranayama ( iPhone & iPad ) – Universal Breathing is a useful premium yoga app for iPhone/iPad that lets you learn Pranayama ( breathing exercises ) easily. Pranayama is one of the most important parts of Yoga and it is mainly used to remove stress, increase stamina and concentration level and get health benefits. 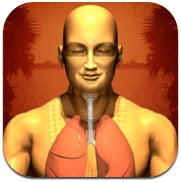 The app is integrated with animated graphics which could be very useful to learn powerful breathing exercises. If you practice slow breathing for at least 15 minutes a day, you can see many benefits. The app helps you reduce stress and stress related issues such as Migraines, Depression,High Blood Pressure, COPD , Asthma , Weakness etc. Great app for all iPhone/iPad users. Although this app has not been updated recently for latest iOS versions but very useful to learn Yoga. 6. Yoga with Janet Stone ( iPhone ) – One of the best iPhone yoga apps on the Appstore and it includes beautiful video tutorial, over 5 hours of audio instructions, 13 meditation packages, more than a hundred yoga flows, practice builder, tracker and sharing feature. Great app that is designed for everyone such as beginner, intermediate or advanced users. 7. Patanjali’s Yoga Sutra ( iPhone & iPad ) – If you want to learn Patanjali’s Yoga Sutra for deep knowledge of original Yoga, you can install this useful app. The app comes with the translation & audio of the original Yoga Sutra which can help you understand the real meaning of Yoga.